Bramble Sharks have a rounded body and broad head. 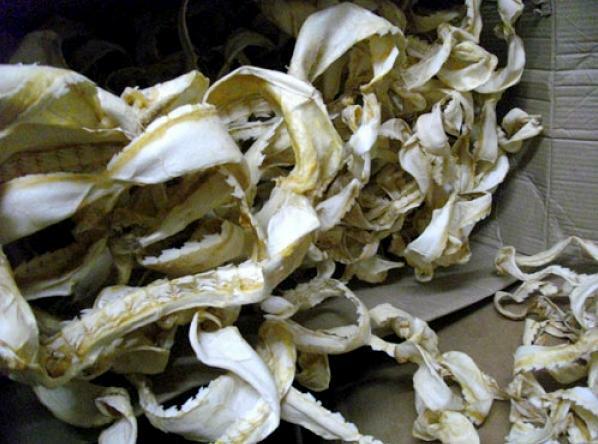 Their mouth is full of rows of small, sharp teeth. 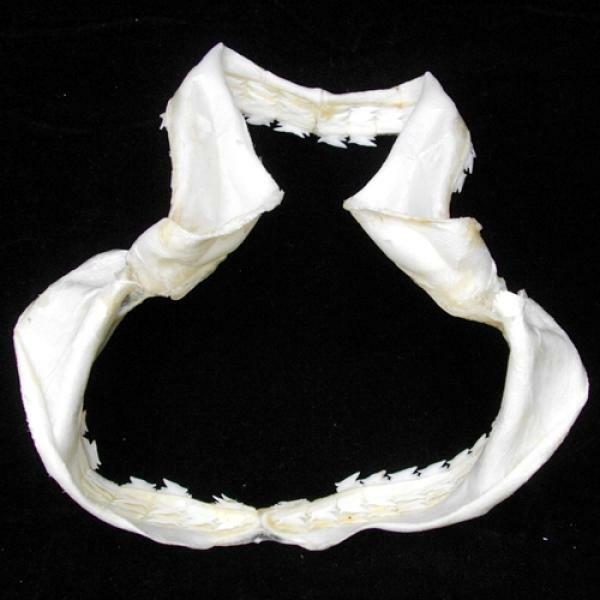 Present on each side of the body are 5 gill slits with rearmost gill slit much larger than the first. Also present, are 2 small dorsal fins placed very close together and far back on the final third of the body. 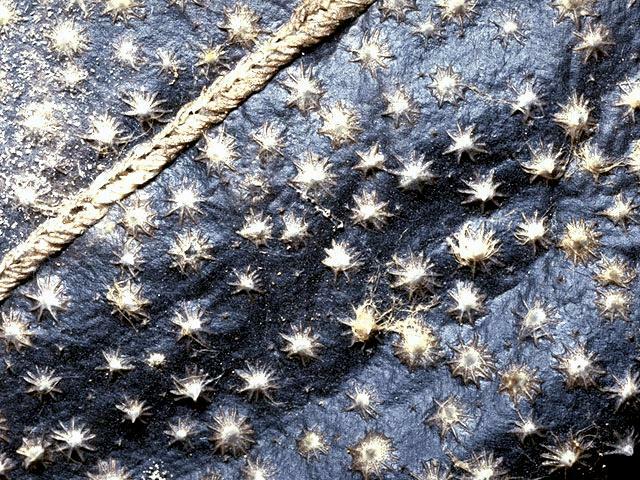 Their skin is rough and is also coated in sharp, pointed denticles which may fuse together and their color is usually brownish to yellow but can also be grayish. Bramble Sharks are a somewhat mysterious species of shark. 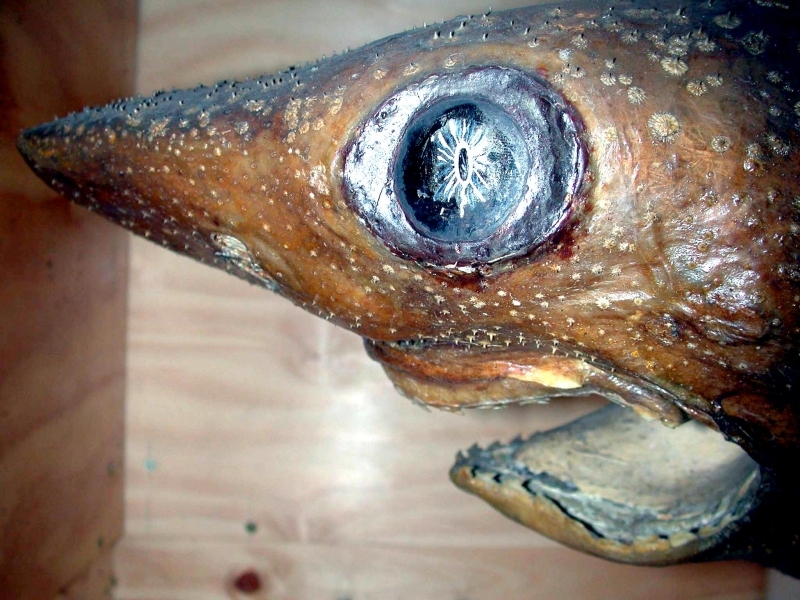 Little is known about many aspects of the life-cycle & behavior of this species. 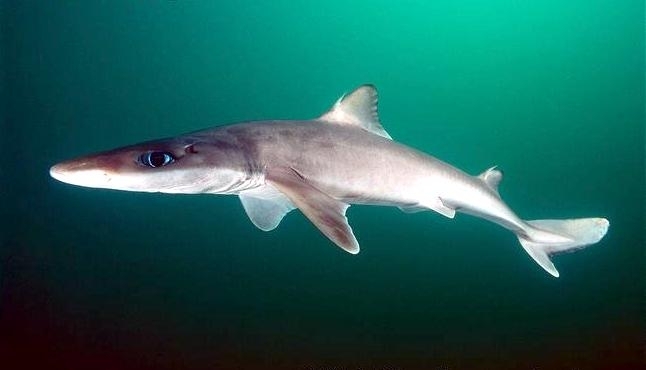 Bramble Sharks are found from time to time in European & British waters and can therefore be as at least an occasional visitor to British waters. 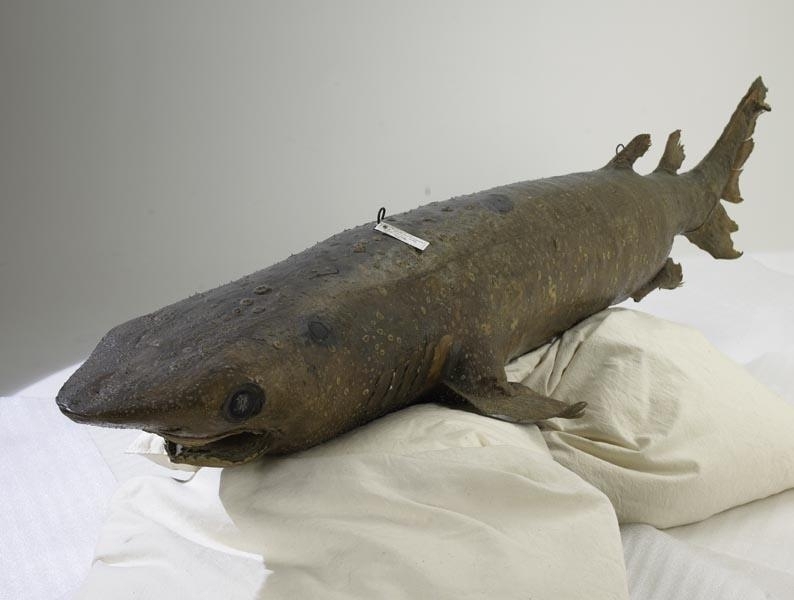 So little is known about this species, that the maximum size they can reach is unconfirmed, but it thought to be in the region of 8-10 feet and 600-800 pounds. The most striking feature of this species is the sharp, conical thorn-like denticles which cover the body. Sometimes these denticles can join together to cover patches of the skin resulting in multiple denticles which can form into plates on the flanks or back of the shark. These sharp denticles give this species its common name due to their resemblance to brambles. 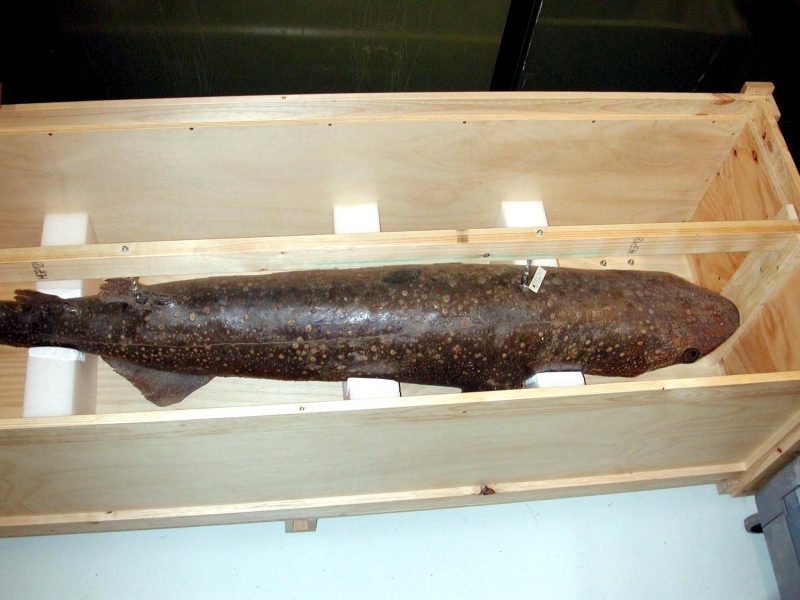 The Bramble Shark appear to be sparsely distributed throughout all of the world’s oceans & seas. 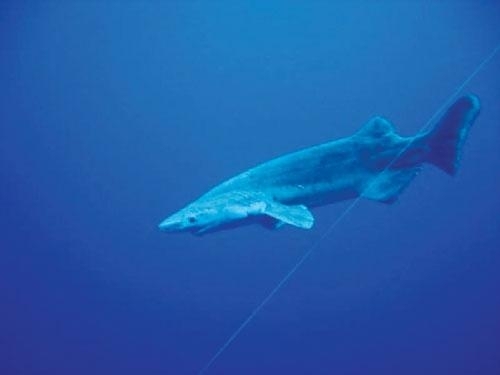 Bramble Sharks have been observed off the North & South American coasts, around the coast of Africa, in Indonesian and Asian waters and off the coasts of Australia & New Zealand. In European waters, they have been sighted in the Mediterranean and off the northern coast of Europe as far as Scandinavia. 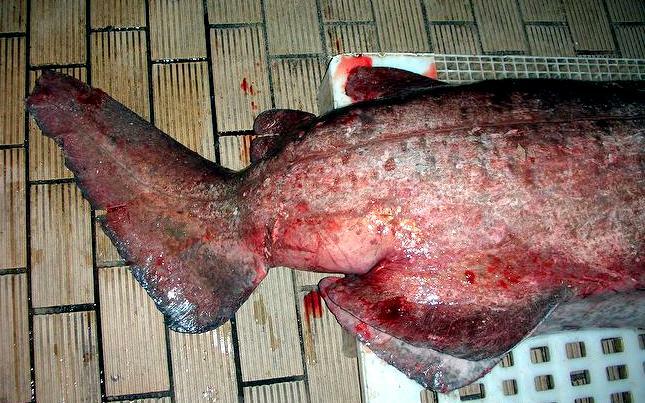 In British waters, this species is thought to be present in the deep water of the Faroe-Shetland Channel to the north of Scotland and the Rockall Trough west of Ireland. 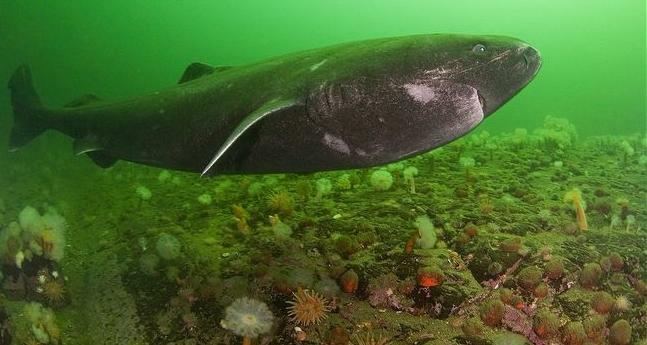 However, Bramble Sharks have also been observed in the North Sea and may also be present from time to time in the English Channel & Irish Sea. 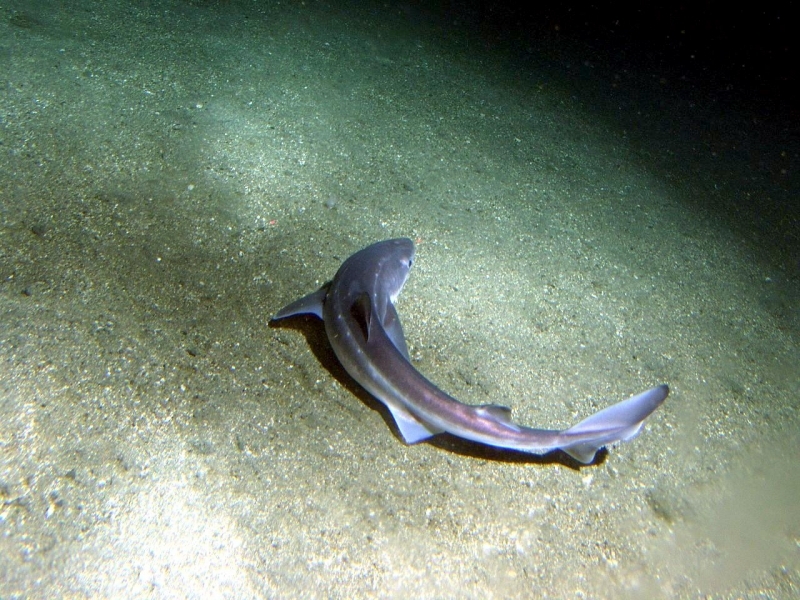 Bramble Sharks are thought to be solitary hunters, living in feeding on the seabed at depths of 500–1,500 meters and preying mostly on bony fish & squid. 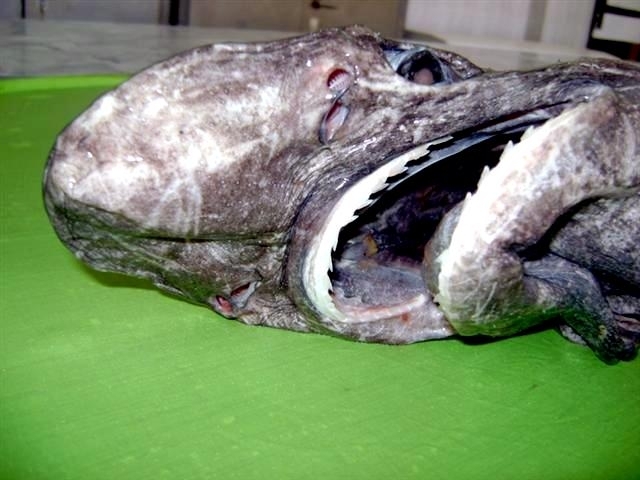 Although the Bramble Shark is not a fast moving creature, it has enough speed and agility to catch prey which consists of bony fish such as cod, haddock and hake and larger species such as dogfish, spurdog and rabbitfish plus crabs & lobsters may also be taken as well. 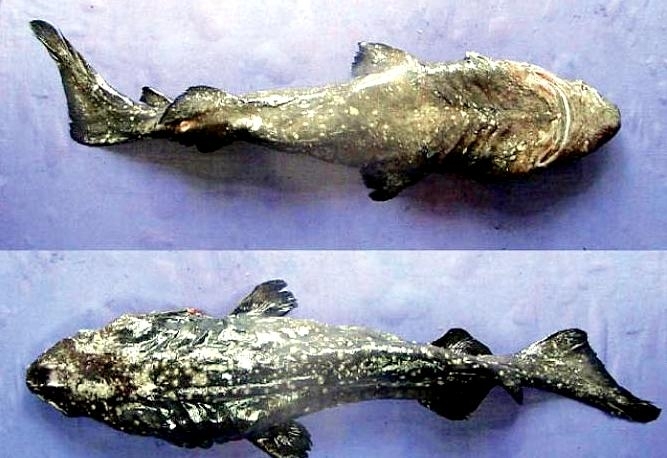 In terms of the reproduction, Bramble Sharks are ovoviviparous (eggs hatch within the female making it look as if they give birth to live young), but other than this nothing is known about the reproductive cycle of this species. 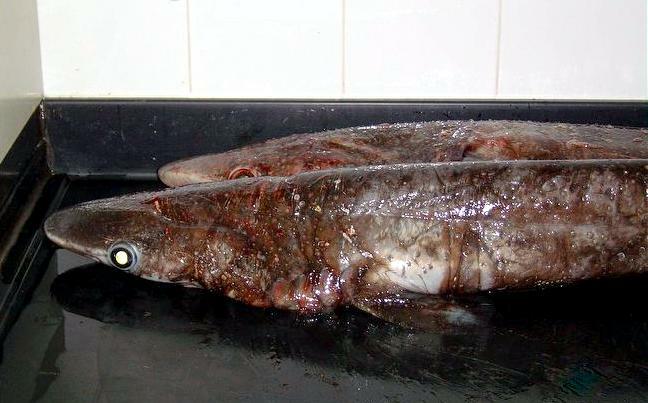 The Bramble Shark has little commercial value as its flesh is not eaten. 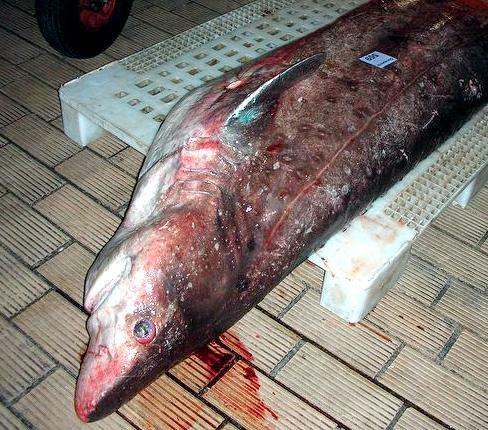 While trawlers therefore do not specifically target this species, it may be inadvertently caught in nets and hauled on board where it will be either discarded back into the sea or possibly retained and sent to be made into fish meal. While the IUCN (International Union for the Conservation for Nature) class this species as Data Deficient, it is widely believed that numbers have declined significantly in recent years. 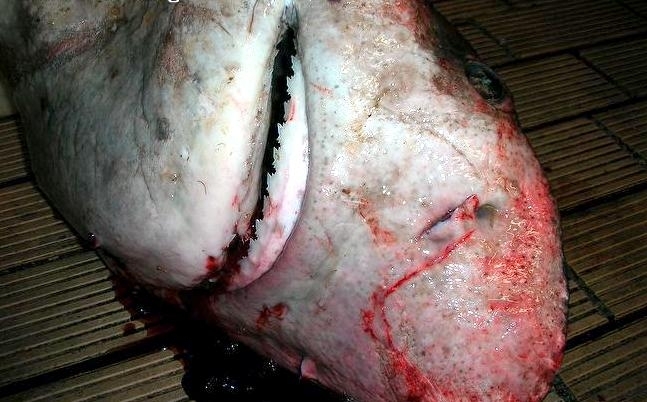 As the Bramble Shark is likely to be a slow growing and late maturing creature, it will take a great deal of time for numbers to recover even if commercial catches of this species stop completely.